First I would like to announce that the AFU board today finally agreed on the new name for the foundation. After several months of brainstorming we have now decided to change our name from Archives for UFO Research to Archives for the Unexplained. 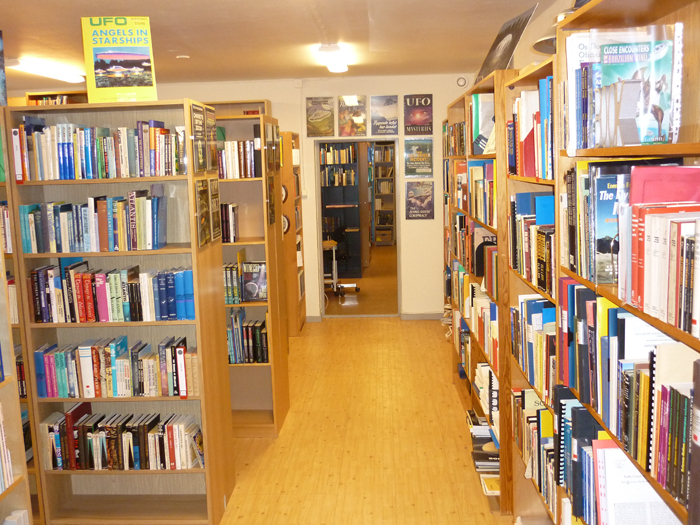 We tried several combinations of UFO, fortean, paranormal etc but that excluded our large collections of folklore, psychology, esoterica and mysticism so unexplained was found to be the best option as we wanted to retain our acronym AFU. Actually it was our foremost donor, Hilary Evans, who first suggested a new name for the foundation. I hope that he now in his more spiritual abode is satisfied that we followed his intentions. 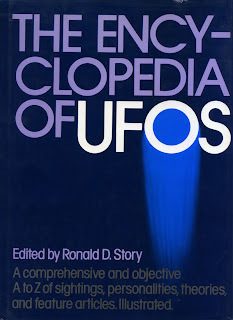 In 1980 one of the first comprehensive encyclopedias on UFOs was published, edited by Ronald D. Story. 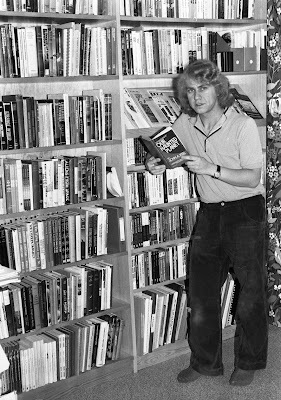 An important part of the encyclopedia was biographical entries on most of the first generation ufologists, including a "position statement". 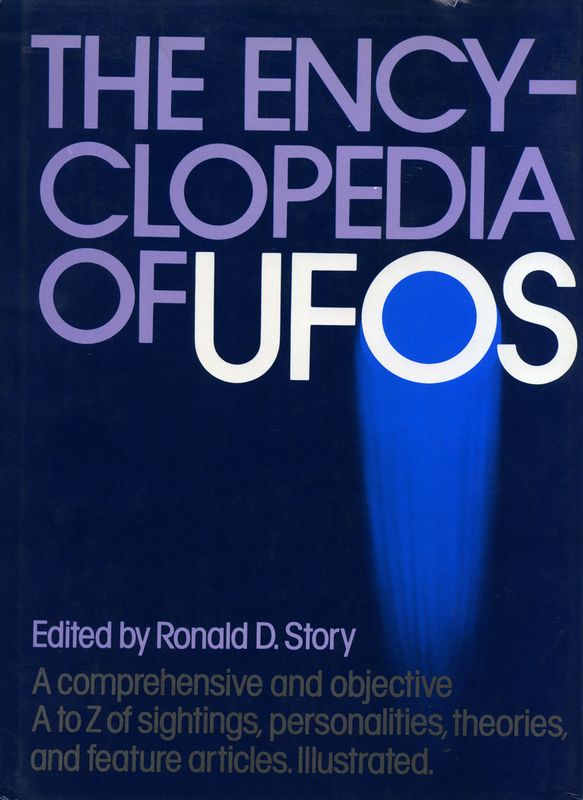 This is often neglected in other encyclopedias on UFOs and the paranormal but of profound importance when studying the theories and history of ideas regarding our subjects. 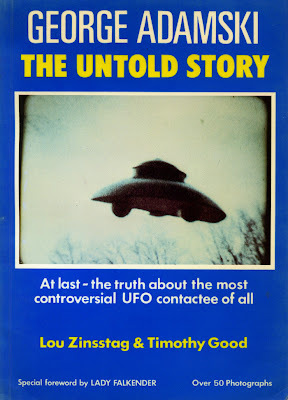 As my blog is now in english I think it appropriate to present a short position statement myself both as to my views on UFOs and UFO research and the more controversial esoteric subjects. After more than forty years of experience in the UFO movement both as a field investigator and co-worker at AFU my conclusions are that the rather few real and unexplained UFO phenomena are a mixture of several unrelated phenomena of diverse origin. Some are probably unusual electrical discharges and secret military craft or spy missiles. My study of close encounter and physical contactee cases indicate the possibility that we are not alone on this planet. I keep an open mind whether the reported types of entities and intelligences originate on Earth, are from another planet or parallell world (dimension). 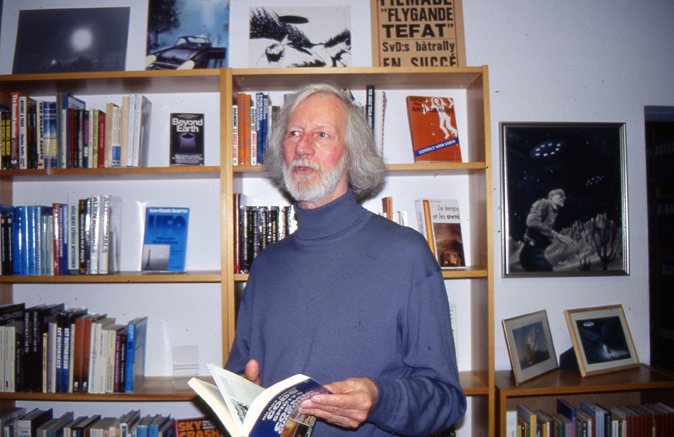 In my attitude to the UFO enigma I try to adhere to the "third way ufology", formulated by Clas Svahn, since 1991 director of UFO-Sweden: neither naive belief nor debunking scepticism but an open mind to various theories and claims based on critical investigation and empirical data. What makes me perhaps something of an outsider among mainstream "scientific" ufologists is my interest in the philosophical and existential implications of UFO and paranormal phenomena together with a lifelong interest in theosophy and the esoteric tradition. 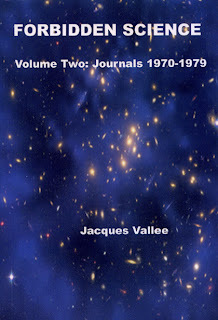 Authors and researchers such as Jacques Vallee, John Keel, Allen Hynek, Andrew Tomas, Meade Layne, Riley Crabb, Lucis Farish, Timothy Good have been a great inspiration. Like british author and philosopher Colin Wilson I admire the intellectual outsider and iconoclast who makes his or her own waves in the ocean irrespective of what is regarded as academically or scientifically correct. 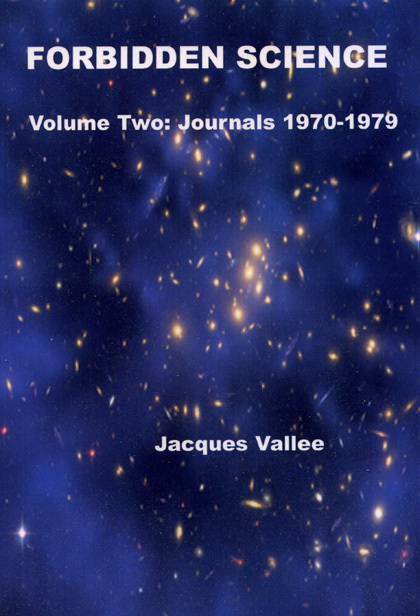 A favourite quote from Jacques Vallee´s excellent Forbidden Science II could be a motto: "... the history of ufology should be placed within an esoteric context... The UFO problem, the question of parapsychology, are central to this business. Looking for the solution isn´t just a scientific project; it´s a quest, an initiation, an enigma like that of the Sphinx." 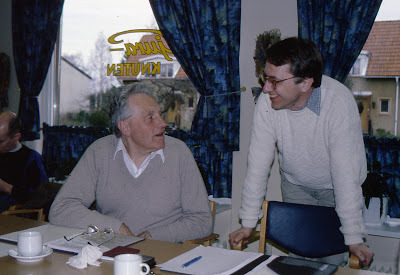 As a young university student in 1976 I corresponded with a very erudite, old british gentleman, ufologist and esotericist T. Bryon Edmond. 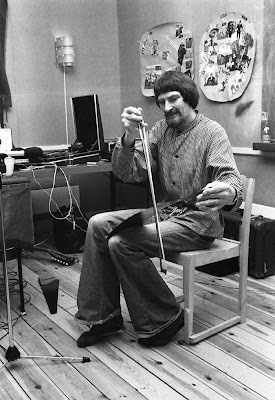 His attitude to the esoteric tradition has inspired me for many years. 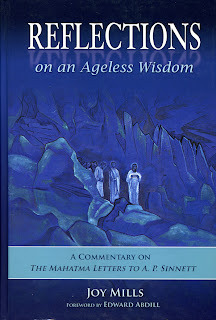 He wrote: "Basically I am agnostic, but I accept Theosophy provisionally because it answers more questions in a logical and scientific way than any other religion or philosophy that I know of." This could be a summary of my own attitude to this controversial question. Basically a humanist I regard the esoteric tradition as an interesting working hypothesis or alternative paradigm. 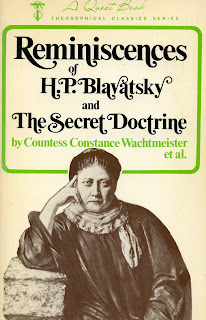 And the best exponents of the esoteric tradition are in my view Helena Petrovna Blavatsky, Henry Steel Olcott, Annie Besant, Charles Leadbeater, Geoffrey Hodson, Alice Bailey and swedish esotericist Henry T. Laurency. The basic philosophical problem is of course whether it is possible or reasonable, as an intellectual, to even provisionally accept the esoteric worldview? I find the reductionist, materialist paradigm intellectually untenable. The great enigma of consciousness, the well documented cases of UFOs and paranormal phenomena including some personal psychic experiences are for me clear indications of several factors x in the existential equation. 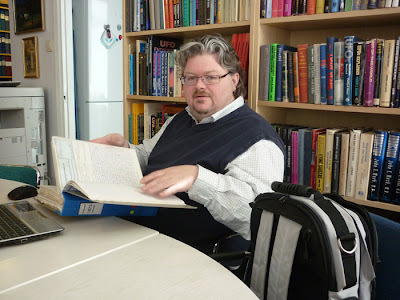 I am also interested in the esoteric tradition because of the historical connections to the UFO movement and that very often the same type of phenomena are reported in both an esoteric and ufological context. 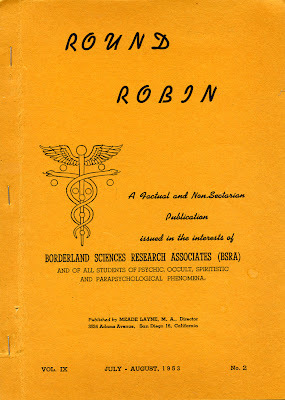 "Round Robin does not want to argue the case for elementary psychic happenings. It is written for people who already know and accept such things. If people don´t believe in survival and communication, in materialisation, apports, levitation, ectoplasmic phenomena and so on - that is all right - but let them go to the ten thousand books dealing with such subjects. I don´t give a hoot what they believe. If you were publishing a journal on chemistry, you wouldn´t write for sceptics who doubt that H (hydrogen) and Cl (Cloride) will combine. We have a great body of borderline facts, net yet accepted by "official" science, though known to thousands of individual scientists. There are methods of work which are valid and scientific, but still outlawed by official science." This week a parcel arrived with 22 books, various occult classics in english, french and german. 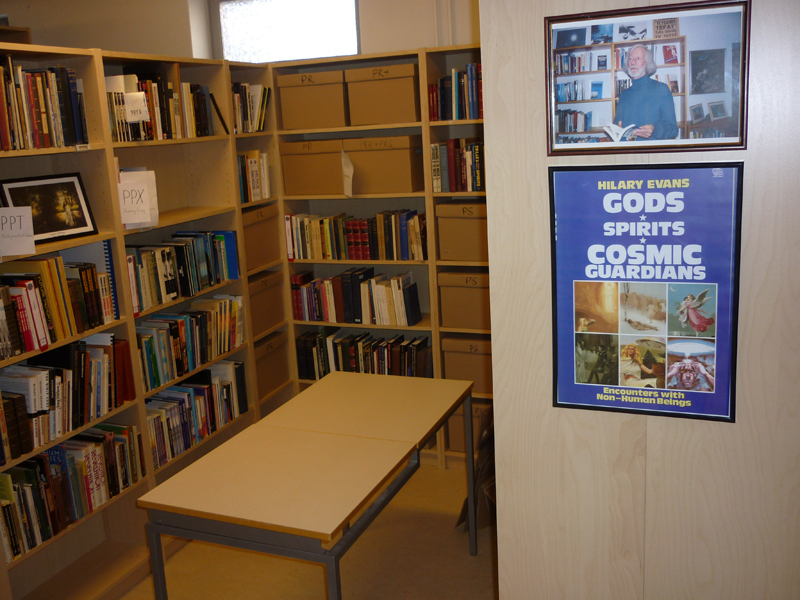 It was a donation to the AFU library from Birgitta Nordquist, widow of swedish ufologist Eric Nordquist (1907-1981). 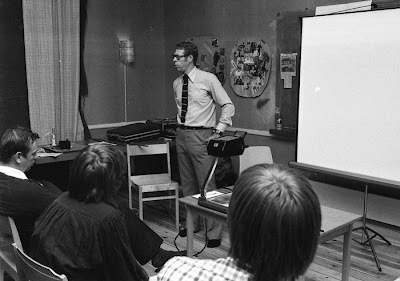 Eric was chairman a few years in the 1960s of the Ifologiska Sällskapet (Ifological Society) one of the earliest UFO societies in Sweden, founded in 1958. IFO interpreted as Interplanetary Flying Objects. Besides a ufologist Eric was a famous stage magician performing at the large entertainment venue Berns in Stockholm. 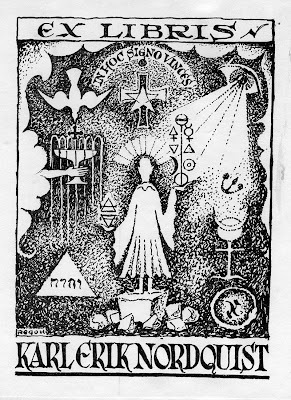 But Eric was also deeply interested in other forms of "magic" evident from his book collection, with titles like Magie und Mystik in Vergangenheit und Gegenwart (1929) by Kurt Aram and Lehrbuch zur Entwicklung der okkulten Kräfte im Menchen (1912) by Karl Brandler-Pracht. 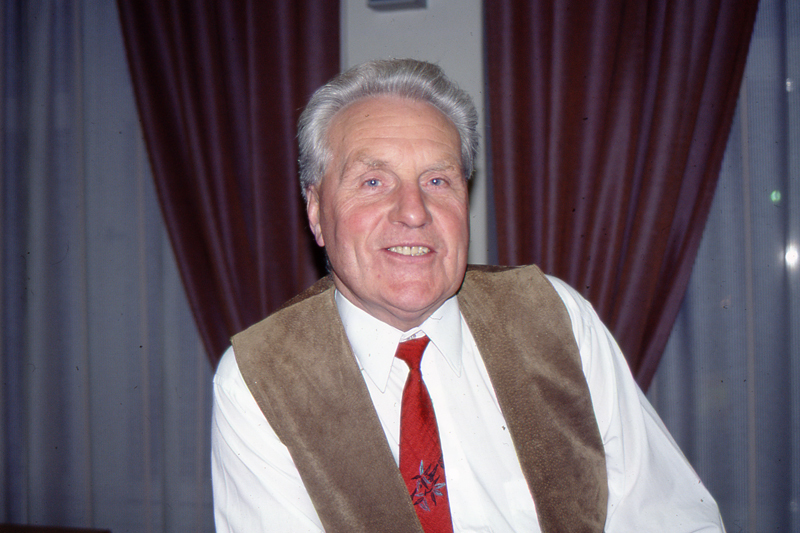 Eric was also a member of the Rosicrucian Order AMORC. 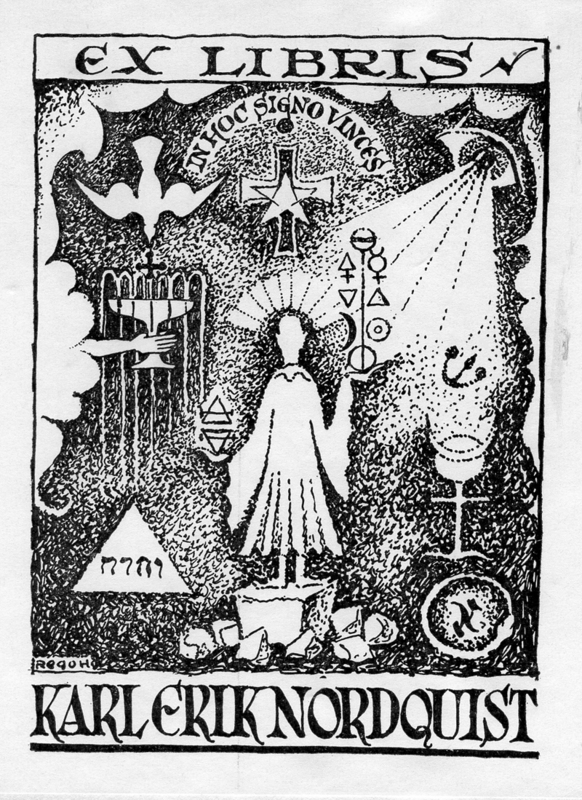 His fascinating Ex Libris always has the name Karl Erik which was his actual Christian name. 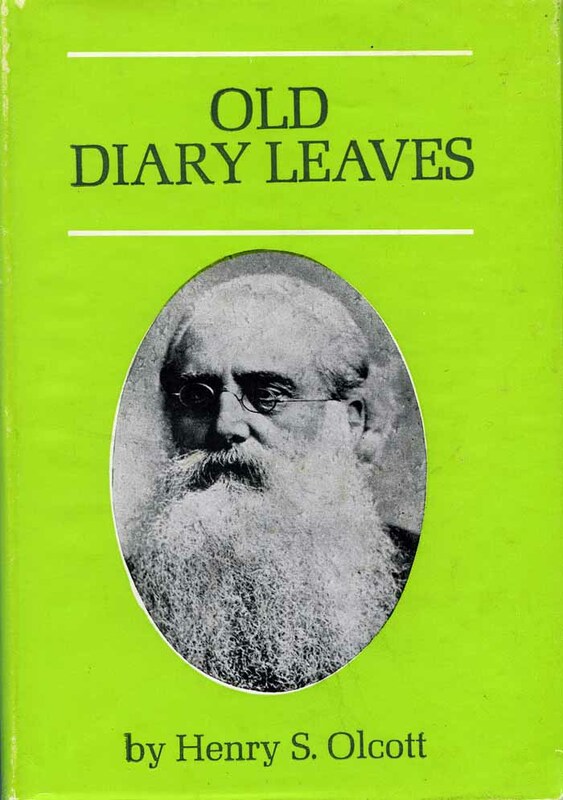 I have contiued reading Handbook of the Theosophical Current and noticed one small, but in my view irritating, mistake in Sean O´Callaghan´s contribution The Theosophical Christology of Alice Bailey. 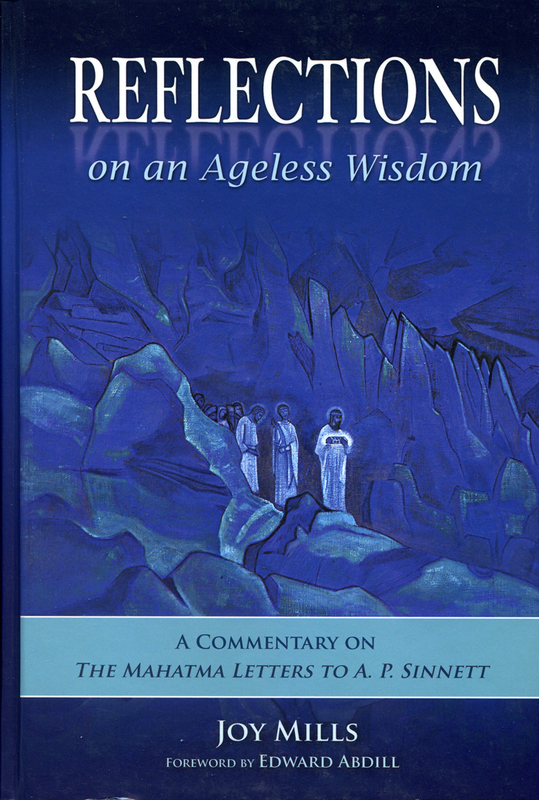 He refers to Bailey´s contacts as "Ascended Masters", a concept entirely in the wrong context. Alice Bailey (or the Tibetan) would never speak of Ascended Masters as that was a concept advocated by Guy Ballard of the I Am movement. And the Tibetan is very explicit and critical when he refers to the I Am Movement, as a "cheap comedy" and travesty of the esoteric tradition. (Bailey, The Rays and the Initiations, p.16, 1970 printing). 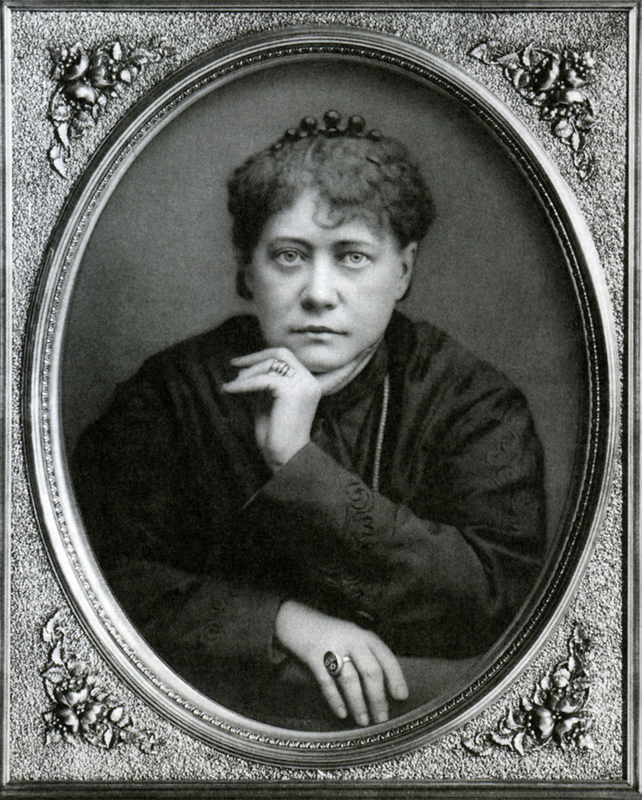 Academic scholars are of course not expected to comment on the "quality" of various esoteric teachings but anyone with a minimum of academic training must notice the radical difference in intellectual and "humanist" quality between Blavatsky, Alice Bailey etc and the I Am movement and its offshoots. Librarian and historian K Paul Johnson commented on this in PsyPioneer re Elisabeth Clare Prophet and The Summit Lighthouse: "My interest in Blavatsky and her Masters was inspired by appreciation of the quality of the books she produced under their alleged inspiration; Mrs Prophet´s books by contrast could never hold my attention for more than a paragraph." I can only agree with both the Tibetan and K Paul Johnson. 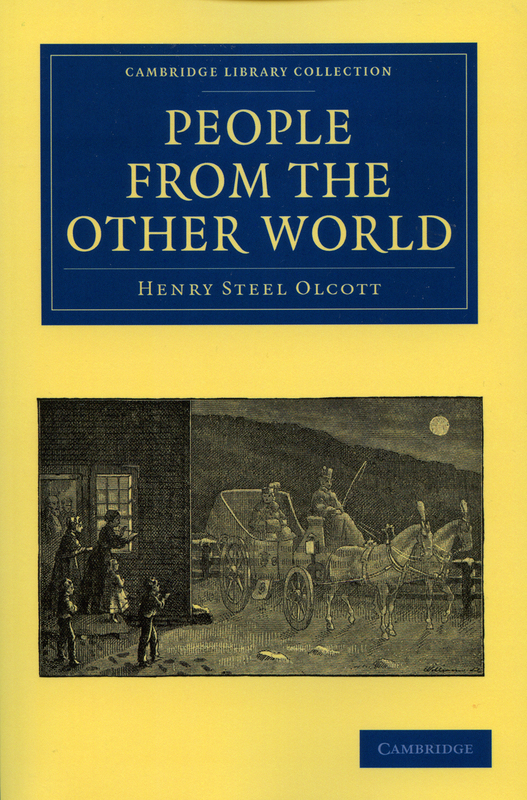 Recently I received a copy of Henry Steel Olcott´s classic People From the Other World, originally published in 1875. 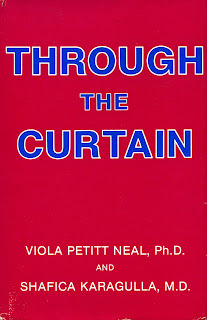 Theosophical scholar Joscelyn Godwin refered to this book as a source for his "Hidden hand theory", the theory that behind the original spiritualist movement was an secret occult order. I did find this reference on page 454 in my Cambridge University Press edition. This claim is very close the "esoteric intervention theory" proposed by Jacques Vallee, as an explanation for part of the UFO phenomenon. Several new academic books on the esoteric tradition have been published recently. 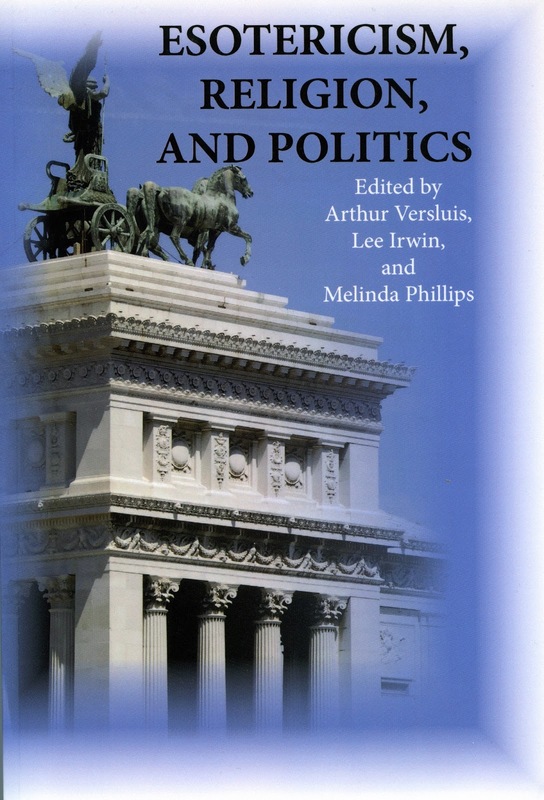 Esotericism, Religion and Politics, edited Arthur Versluis, Lee Irwin and Melinda Philips is a good introduction to the study of right- and left wing political ideas among esotericists. 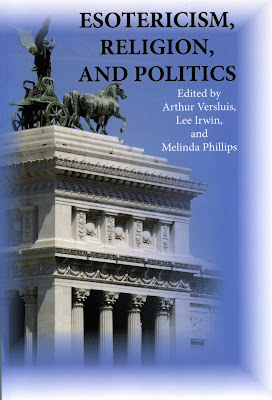 As I regard the theosophic/esoteric tradition as basically to the left in politics I was especially interested in the chapter on the Theosophical Temple Movement and their socialist ideas. The Temple of the People are still active in Halcyon, California. 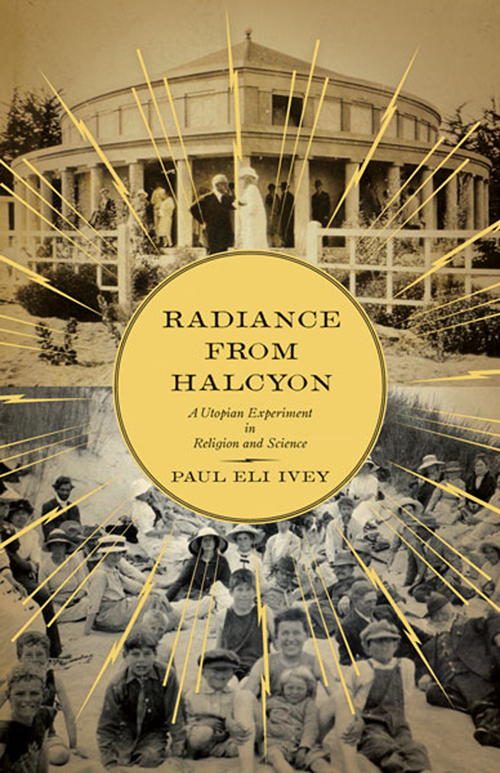 A study of this group has now been published: Radiance From Halcyon. A Utopian Experiment in Religion and Science by Paul Eli Ivey, associate professor of art history at The University of Arizona. 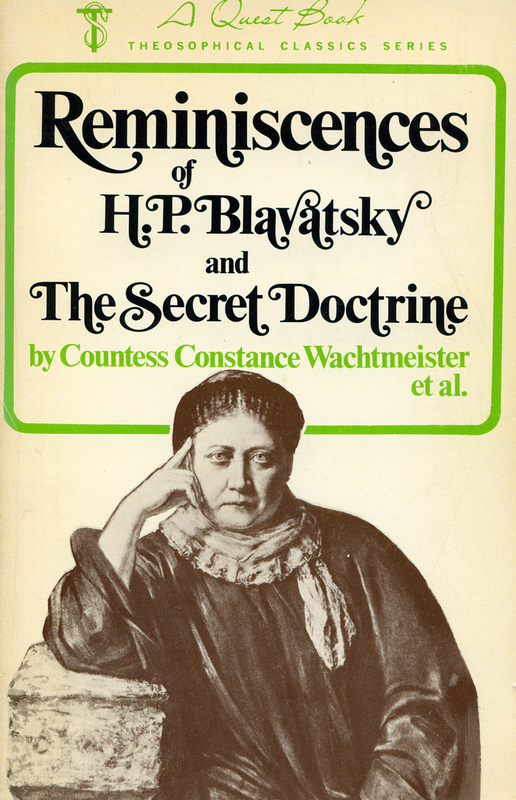 A short notice on this book can be found at the always informative site Blavatsky News. 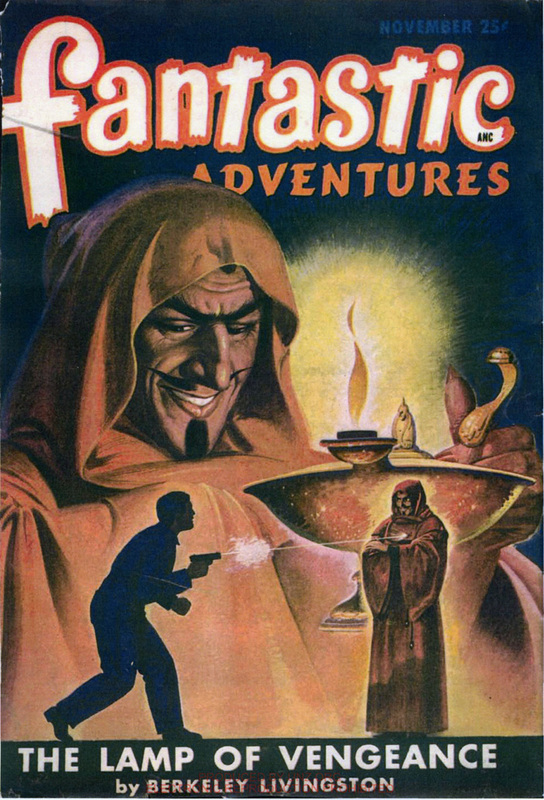 In the November, 1947 issue of Ray Palmer´s magazine Fantastic Adventures an article, Son of the Sun, was published that has fascinated me for years. It was written by Alexander Blade, a pen name used by many authors but in this case the real name was Millen Cooke. It is a remarkably prophetic article written as a message from a "visitor" belonging to a secret group in possession of flying discs. Notice that this was written in the autumn of 1947, before the first contactees appeared in the befinning of the 1950s. Here are a few quotes: "We are alrady here, among you. Some of us have always been here, with you, yet apart from, watching and occasionally guiding you whenever the opportunity arose... We have been confused with the gods of many world-religions, although we are not gods, but your own fellow creatures, as you will learn directly before many more years have passed... Some of you have seen our "advance guard" already. You have met us often in the streets of your cities and you have not noticed us. But when we flash through your skies in the ancient traditional vehicles you are amazed... These are our mechanical means of transport. Now that the art of manufacturing plastic materials has reached a certain prefection among you, perhaps you can imagine a material, almost transparent to the rays of ordinary visible light, yet strong enough to endure the stresses of extreme rapid flight." How could Millen Cooke report accurate data on UFO observations not known in 1947? What was her source? 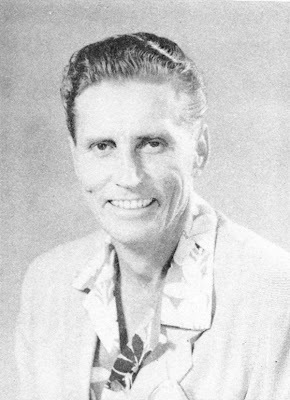 Millen Cooke (1915-1995) wrote articles for science fiction magazines and The American Theosophist in the 1940s and 50s. Between 1943-1951 she was married to occultist John Starr Cooke. 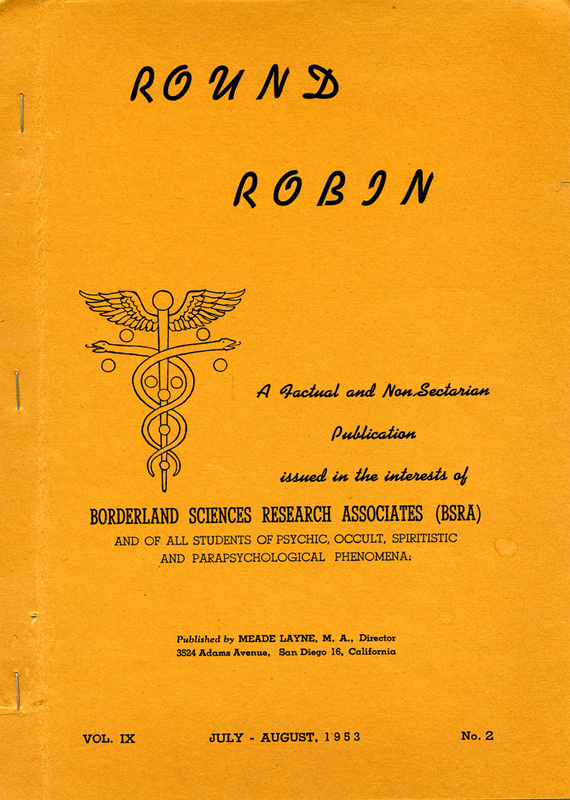 From 1948 she was involved with Borderland Sciences Research Associates (BSRA) founded by Meade Layne in 1945 and wrote several articles for the their magazine Round Robin. Meade Layne made many favourable comments on Millen Cooke and also mentioned that she "has had most exceptional "contacts" and direct personal instruction for more than a decade past." (Round Robin vol. 5:2, March 1949, p.27). What form of "exceptional contacts" did Millen Cooke have? 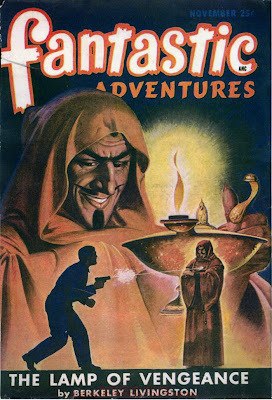 Recently I found the answer in an article, A Narrative of Occult Experience" by M. C. published in Round Robin vol. 4:7, Sept-Oct 1948. It is written by Meade Layne, compiled from personal correspondence with Millen Cooke who according to Layne is a "well educated, honest and highly dependable person of exceptional mental abilities". 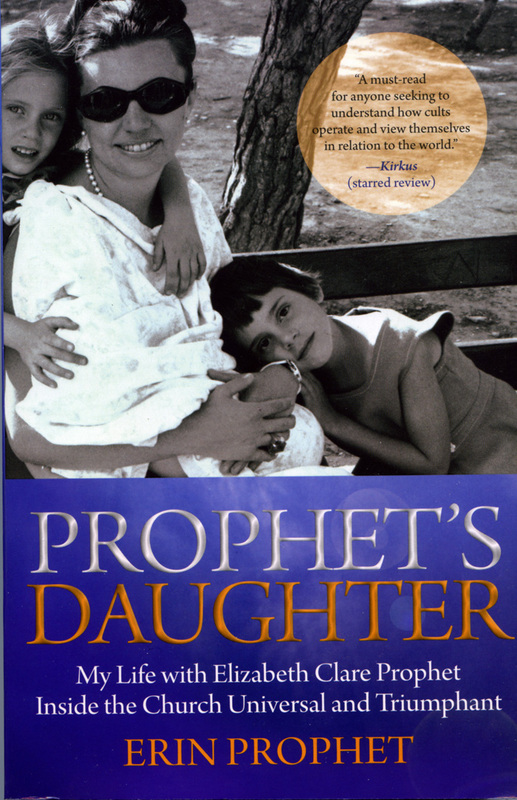 In this article Millen Cooke relates that she has been a disciple of a Tibetan adept since 1930. He appeared suddenly in her room one night. "His presence startled me, but inspired no real fear, and his immediate reassuring greeting put me at ease at once. In appearance he was tall, about six feet... He had a deeply olive skin, no beard, and his black hair was cut very short.... He told me he was a "living" person, just as I was, and that what I was seeing there in my room was a projection, or materialization - a kind of "solid shadow" of him... He stated at once the reason for his presence, informing me that he wanted nothing from me, but that he had come to offer me certain information if I wished to receive it." 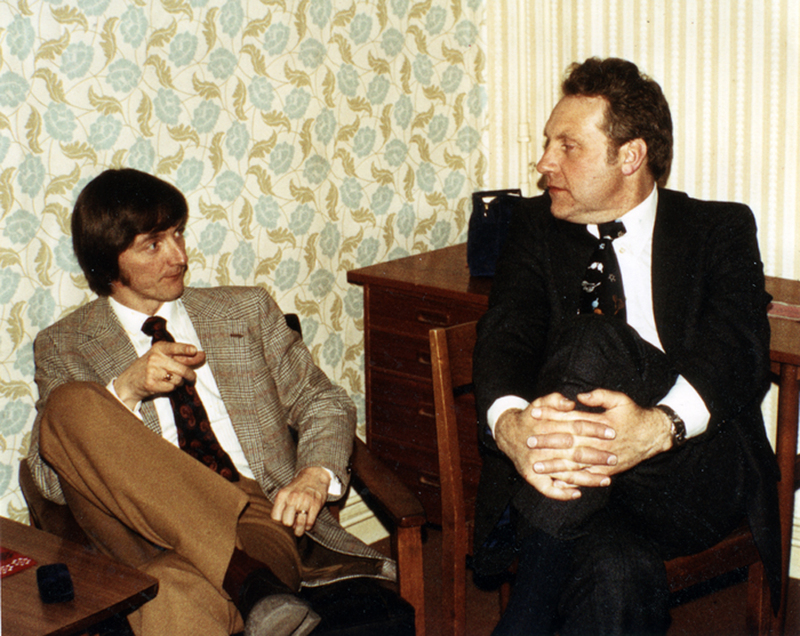 The visits continued and Millen Cooke eventually decided to accept his offer of special training and information. But first she wanted to be sure that the man was not "an unusually vivid dream" so she asks to have some proof of his existence. Then he rearranges her room in a very special way and this was left intact the next day. On two occasions she let one of her dogs meet the man and the dog was petted and handled by the visitor. "As I mentioned before, he is a person like ourselves, living in a chemical body in the dense chemical world, and he is a Tibetan by birth, and a Lama." 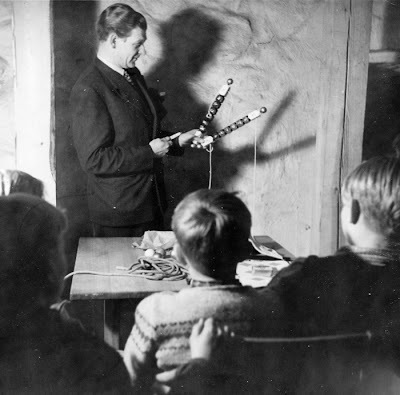 After many visits by the Lama, Millen Cooke also starts attending "night-school" by other teachers. "Sometimes there would be a lecture or a discussion. At other times the instruction would be given by means of pictures such as my friend had shown me during his first visit. Sometimes we would go to other places with the teachers, or visit a large and varied museum of knowledge, with fascinating exhibits embracing every conceivable subject." 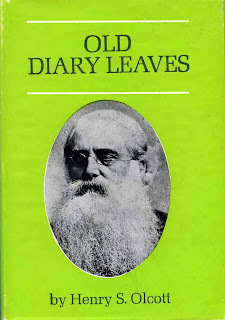 Anyone acquainted with the esoteric tradition immediately notice the similarity between the experiences of Millen Cooke and those of Henry Steel Olcott and Alice Bailey. 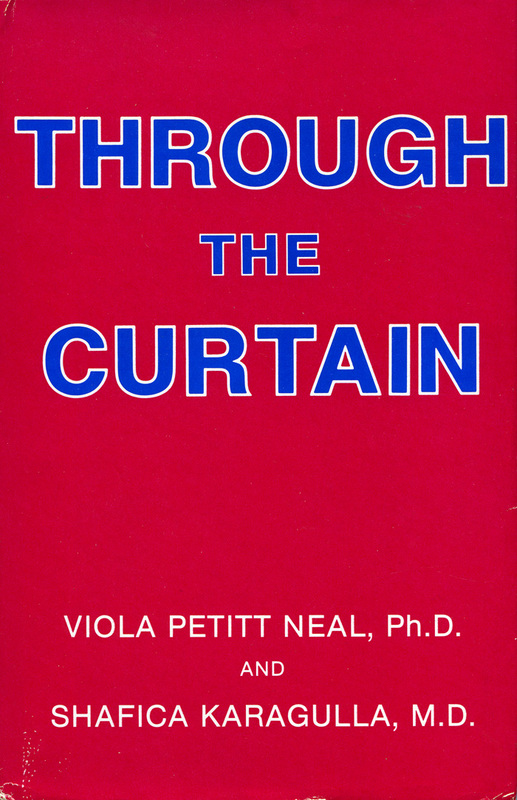 Night.school or night classes is also very well described in Through the Curtain by Viola Petit Neal and Shafica Karagulla (1983). Even though Millen Cooke claimed to have received many years of instruction from the Tibetan I have never found any book or teachings resulting from this contact. The only exception is her article Son of the Sun. Whatever the ontological status of these experiences the claims of Millen Cooke forms an interesting connection between the esoteric tradition and the early ufo contact movement. 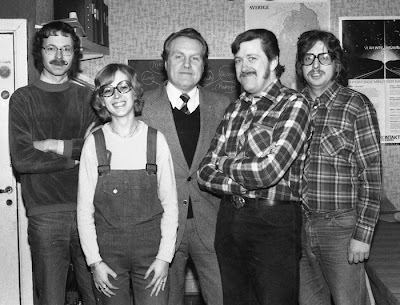 March 17th, 2013 marked the 40th anniversary of Archives for UFO-Research. 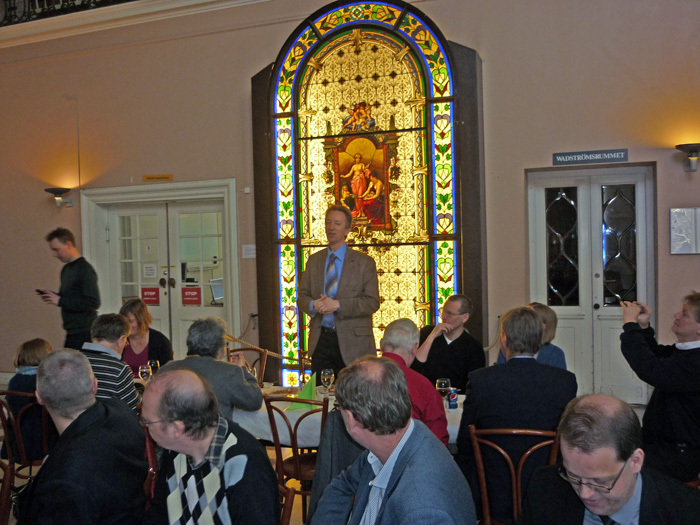 We celebrated this event with a dinner at the beautiful marble hall, part of Norrköping public library. 23 participants enjoyed an exclusive and delicious italian buffet, while I held a short speach on AFU history och future plans and expectations. Local television made a serious and good presentation of "the largest ufo archive in the world". Our start in 1973 was a very humble beginning, an informal working group. 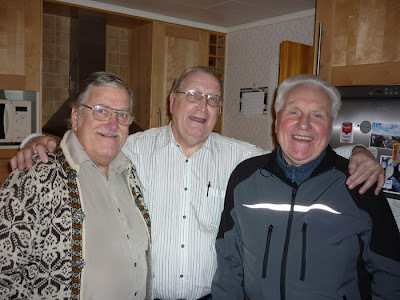 Three young lads, Kjell Jonsson, Anders Liljegren and myself decided we wanted to do serious ufo research. In 1974 Kjell Jonsson began building a ufo lending library in his small one room apartment in Södertälje. 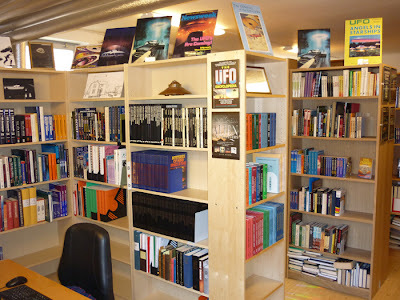 Starting with two bookshelves and 300+ books the library expanded steadily until we moved to our own premises in Norrköping in 1980 and also changed our group to a formal foundation - Archives for UFO Research (AFU). Our development and expansion since 1980 has been exceptional. 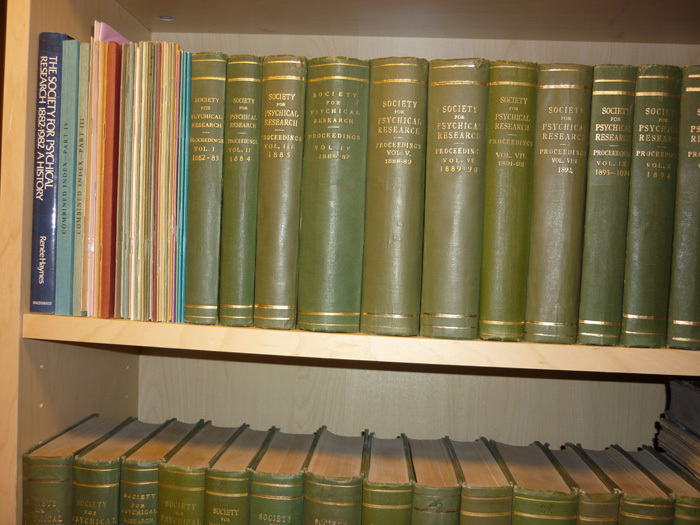 We now have ten premises and between 15-20 people working at the archive on a daily basis. There is 24 000 books, 45 000 magazines and something like 1,5 kilometers total shelf capacity. 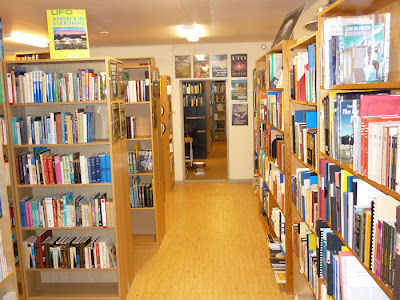 Archives for UFO Research is since many years an internationally recognized and firmly established archive institution. 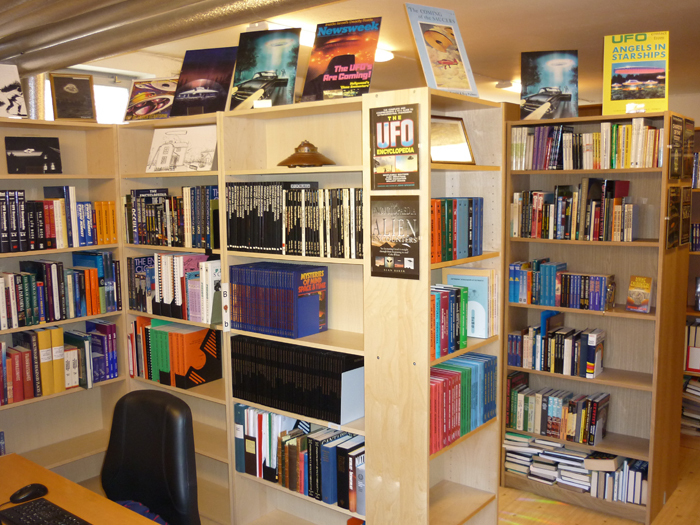 A world repository for books, magazines, clippings, organisational & personal files, photos, audio- and audiovisual material etc on ufos, forteana and paranormal phenomena of all kinds. But we also collect objects, models, artwork, t-shirts, posters etc. Donations of rare and exclusive collections from all over the world are reaching AFU on a constant basis. A sample of our donors speaks for itself: Hilary Evans, Robert J M Rickard, Mikhail Gershtein, Luis Schönherr, Janet and Colin Bord, Willy Wegner, Peter Rogerson, Loren E Gross, William Caulfield and many many more. 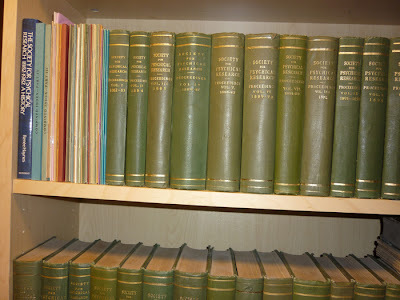 Donations of very extensive collections of forteana, parapsychology, folklore, theosophy, esoterica and other borderland subjects have initiated a discussion within the board of eventually changing the name of the foundation to give a more accurate description of our collections and work. We have not reached a decision, yet. 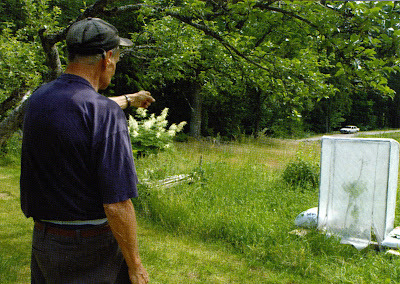 We want to keep our acronym AFU but somehow also perhaps include words like fortean, paranormal or unexplained. The board will present our new name when we initiate our new AFU homepage this summer. 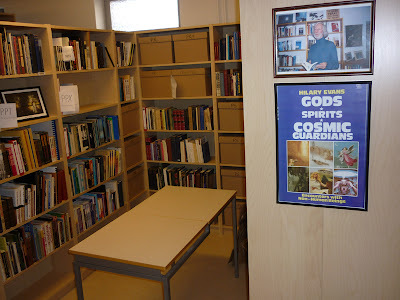 On several occations I have commented on the fact that there are no doctoral thesis on the history of the Theosophical Society in Sweden. This lack of academic interest is certainly surprising seen in the context that theosophy had a very extensive cultural impact in Sweden between 1891-1930. Theosophical ideas influenced authors like August Strindberg, Gustaf Fröding and Selma Lagerlöf. 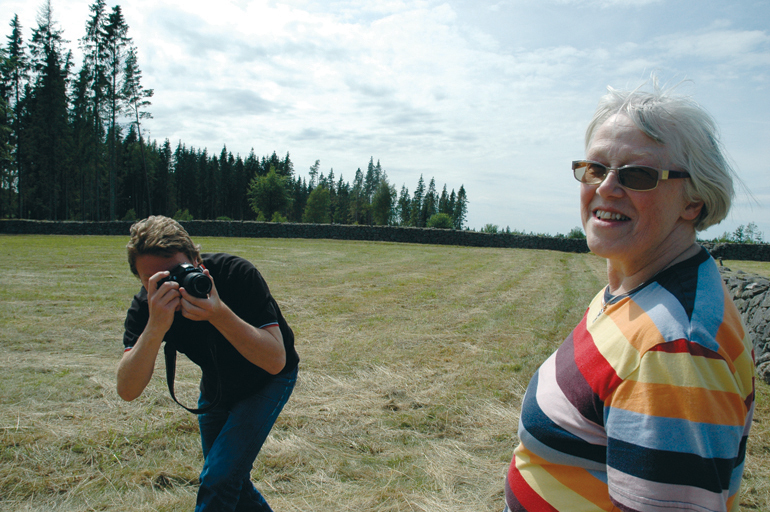 Well known members were countess Constance Wachtmeister, psychologists Sidney Alrutz and Bror Gadelius and painter Gustaf Fjæstad, member of the Rackstad colony of artists in Värmland. Swedish king Oscar II (1829-1907) was strongly influenced by theosophy and invited both Henry Steel Olcott and Annie Besant for audiences at the royal castle. 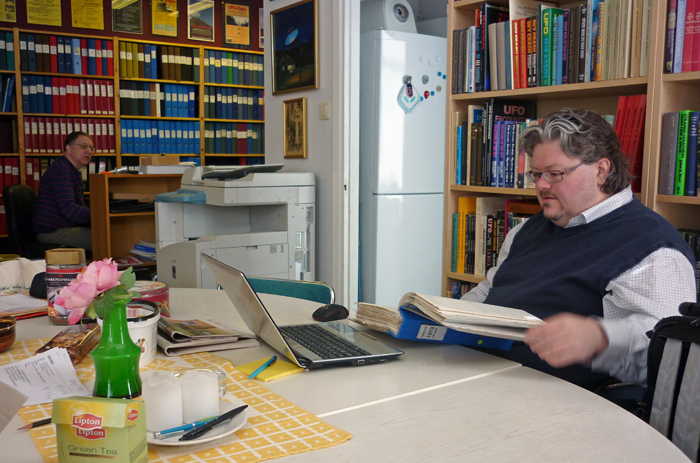 Academic research on theosophical history and the esoteric tradition is sadly lacking in Sweden but international interest has been on the rise for several decades. 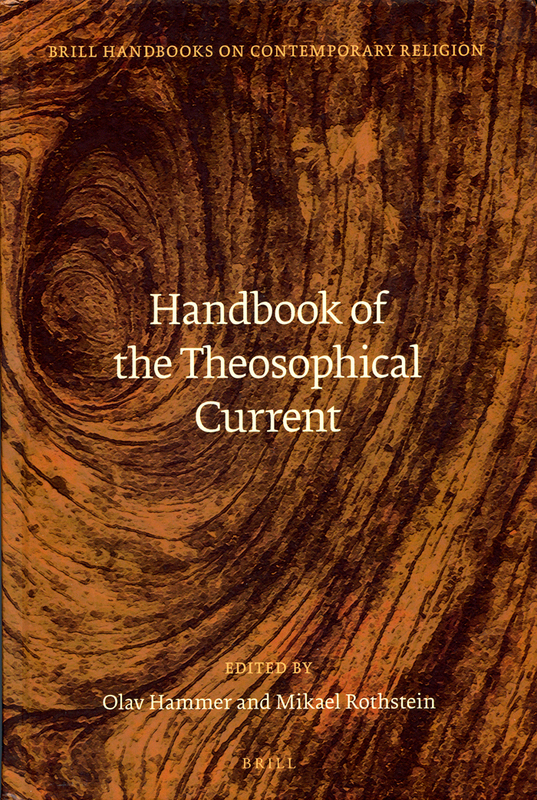 The latest example is the 494 page tome Handbook of the Theosophical Current with contributions from twenty scholars specializing in religion and philosophy. 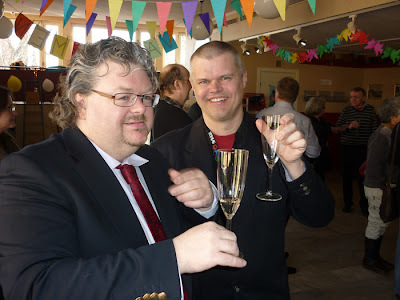 Editors are Olav Hammer, Professor of the History of Religions, University of Southern Denmark and Mikael Rothstein, Associate Professor at the Department of Cross-Cultural and Regional Studies, University of Copenhagen, Denmark. That theosophy and its many off-shoots are important chapters in cultural history is very clearly emphasized by Hammer and Rothstein in the introduction. They even place theosophy as “one of the modern world´s most important religious traditions” and “vastly understudied”. Handbook of the Theosophical Current covers classical theosophy, Alice Bailey, Rudolf Steiner, the I Am movement, Summit Lighthouse and the Roerichs. 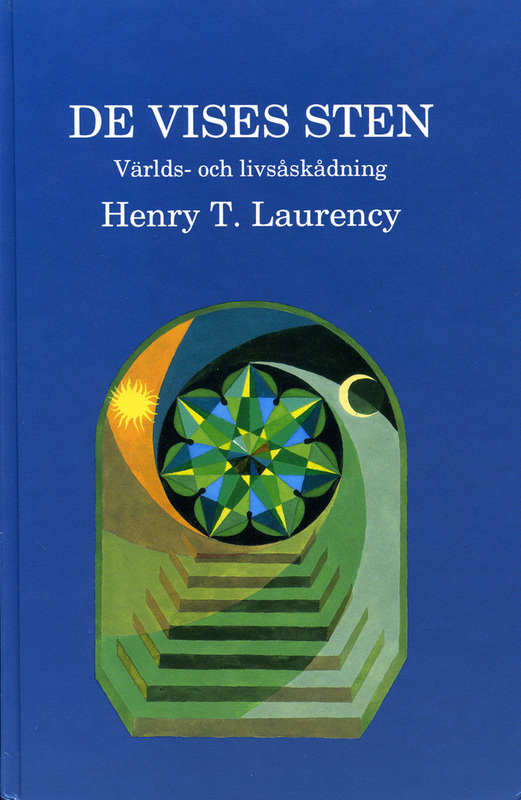 But there is no mention of the Swedish esotericist Henry T. Laurency, which is surprising as his books have now been translated in many languages and his contribution to the esoteric tradition has been noticed from many countries. Handbook of the Theosophical Current is definitely an important and basic textbook on the esoteric tradition. But why the extreme price? $220 from Amazon (SEK 1.626 from Bokus). This makes it a tome of interest only to the real connoisseur, collector of esoterica or the university libraries. So far I have only read six of the twenty contributions. As my special area of interest is the historical and "phenomena connection" between the ufo contactee movement and the esoteric tradition I will just give a few comments on the chapter Mahatmas in Space by Mikael Rothstein. Unfortunately Mikael Rothstein´s contribution is the weakest chapter of those I have studied. 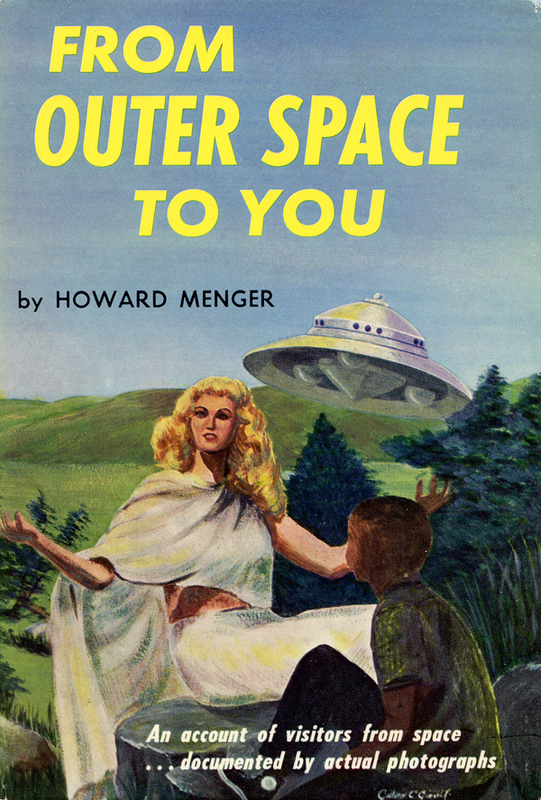 A peculiar tendency among academic researchers of the ufo contactee phenomenon is to concentrate on the peripheral and extreme ufo cults like Unarius, Aetherius Society or the Rael movement, while more or less ignore the most important and influential contactees like George Adamski, Orfeo Angelucci, Daniel Fry, George Van Tassel and Howard Menger. Mikael Rothstein concentrate on George King och his Aetherius Society. 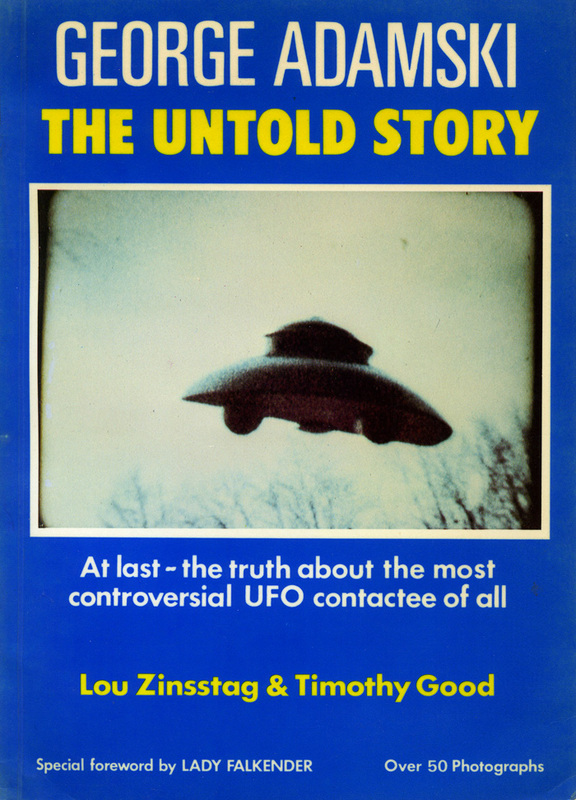 As a first introduction to the connection between ufo contactees and theosophy Rothsteins contribution gives a rather misleading view of the subject. 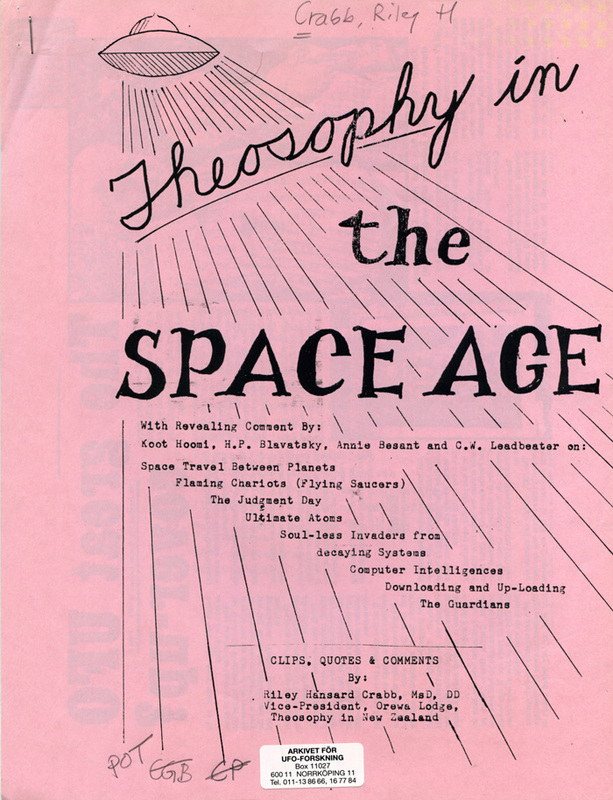 What should have been included is a study of theosophical themes and ideas in the philosophy of the five contactees I mentioned. George King was regarded as an outsider and quite "far out" even among mainstream contactees. King never, to my knowledge, participated in the large Giant Rock Spacecraft Conventions hostad by George Van Tassel. 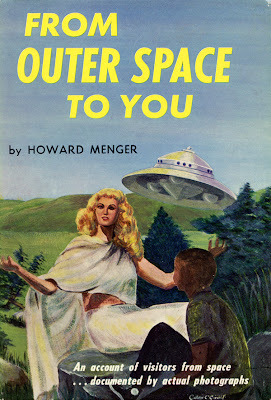 A good popular book which presents the mainstream ufo contactees is Flying Saucer Pilgrimage (1957) by Bryant and Helen Reeve. Even more remarkable is that Rothstein never mentions the large influence of Borderland Sciences Research Foundation (BSRA), created in 1945, on the ufo contact movement. Already in 1946 BSRA declared that an unknown flying object observered over San Diego was an extraterrestrial spacecraft. An information received by the unusually gifted medium Mark Probert. BSRA´s first two directors, Meade Layne and Riley Crabb were much influenced by theosophy. 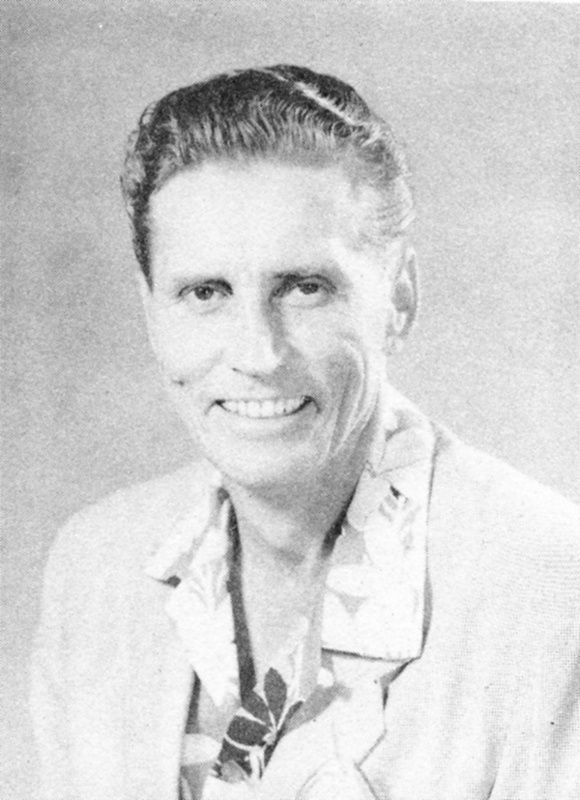 During his stay at Hawaii Riley Crabb was leader of the Honolulu Lodge of the Theosophical Society. 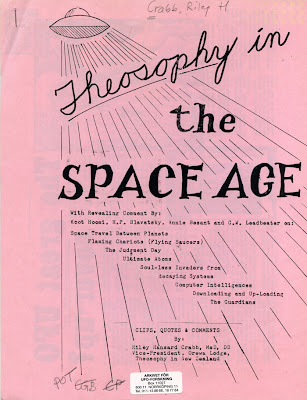 Mikael Rothstein writes that the Theosophical Society and theosophists "normally disregarded or even actively opposed" the "Space Brother perspective". This is a misleading statement as there were many theosophists who took an active part in the ufo movement. 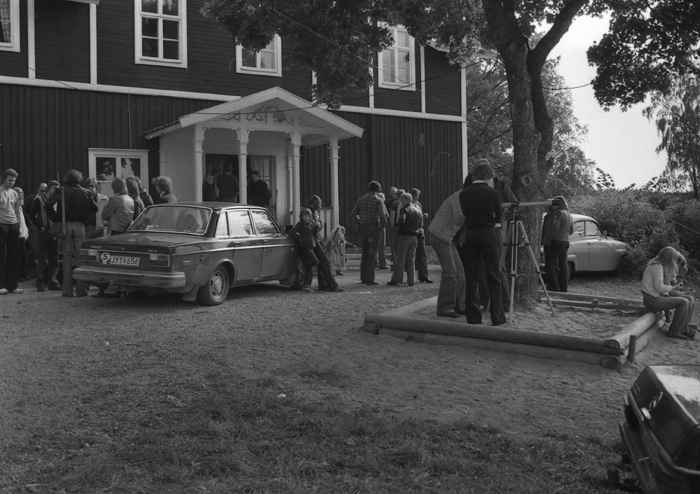 In Sweden the ufo movement in the 1950ies was actually started by members of the Theosophical Society (Adyar). Boris de Zirkoff, E.L. Gardner and N Sri Ram wrote articles where they were very open to the possibility of visits by "flying saucers". 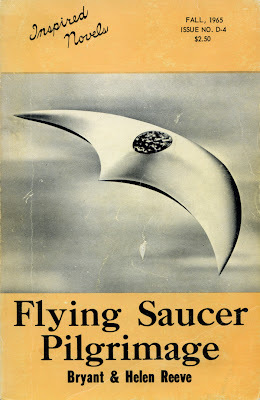 Danish theosophist and Liberal Catholic bishop Otto Viking wrote an article, Flying Saucers and Religion, for Flying Saucer Review in 1955. In 1964 his theosophical ufo novel, A World Intervenes, was published by Exposition Press in New York. Academic research on the ufo contact movement and its relation to the esoteric tradition is to a large extent uncharted territory. 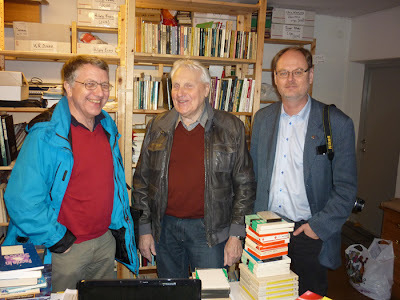 Good contributions have been made by J Gordon Melton, David Stupple and Nicholas Goodrick-Clarke. 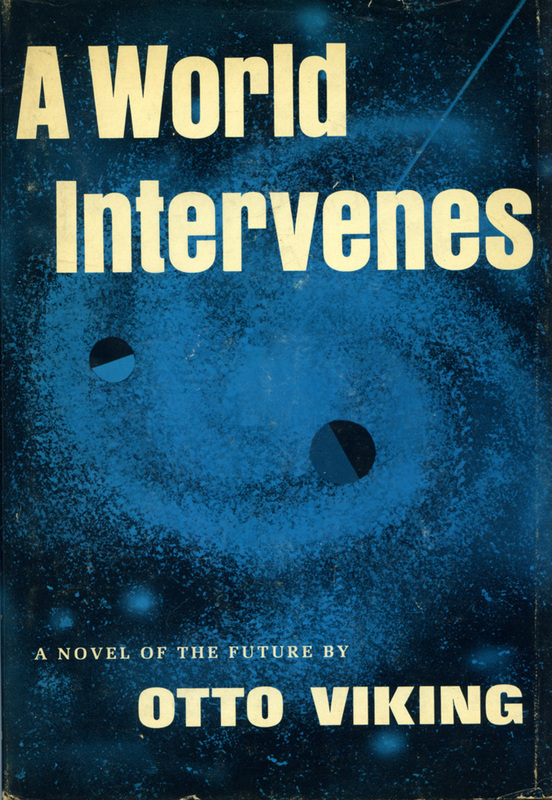 But my wish is that scholars will start researching the mainstream contactees of the 1950ies. Hopefully they will then also discover that much of the basic empirical data can be found at the Archives for UFO Research in Norrköping, Sweden. Påskhelgen bjöd på vackert vårväder som lockade till aktiviteter både ute och inne. Förutom den traditionella påskmiddagen och avkopplande filmtittande har jag hunnit läsa några kapitel i den nyinköpta Handbook of the Theosophical Current. Ett besök på AFU blev det förstås i dag också där en del av tiden har gått åt till att sopa bort allt grus och löv som samlats i trapporna och ingångarna till våra källarlokaler. Jag var inte ensam på arkivet. Trots helgdagen infann sig både Leif Åstrand, Anders Liljegren och Tobias Lindgren. Tobias letade data om en uforapport från Högsby 1973. Men största delen av helgen har jag ägnat åt ett projekt jag tänkt på länge. 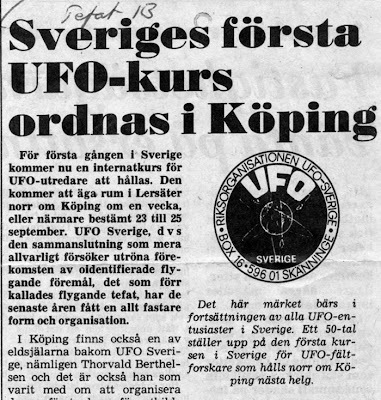 En förteckning över samtliga ufologer som gått UFO-Sveriges kurser för fältundersökare från 1977 till 2012. Med uppgift om år och antal kurstillfällen för varje person. Förutom att det är historiskt intressant är uppgifterna bland annat av betydelse när det gäller att identifera gamla foton från fältundersökarkurser. Ett problem är att det flera år saknas listor över deltagare. Det blir att försöka pussla utifrån artiklar, foton och andra arkivalier. Listan är ännu så länge långt ifrån färdig men hittills omfattar den 380 personer. 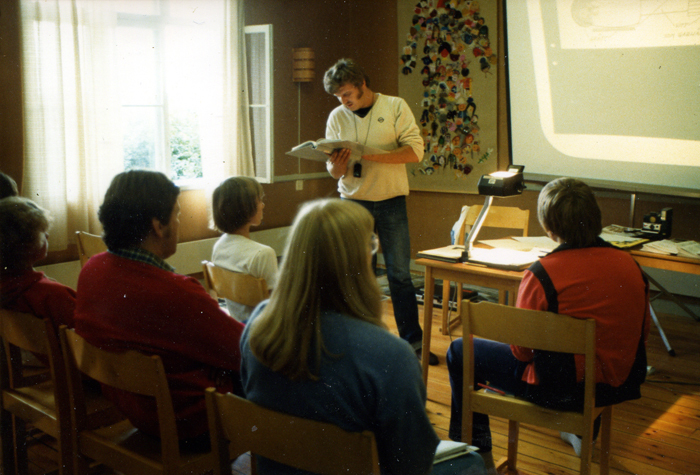 När UFO-Sveriges dåvarande ordförande Thorvald (Bevan) Berthelsen startade kurserna 1977 var det ett viktigt steg i UFO-Sveriges utveckling till en mera seriös och professionell organisation. 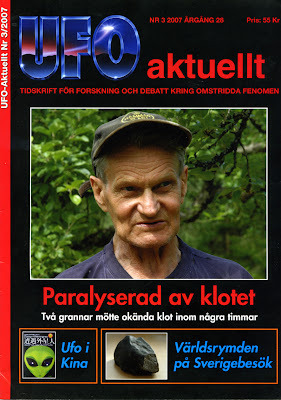 I Cristoffer Olssons nyligen publicerade avhandling i idéhistoria, Den tredje vägens ufologi, framhålls betydelsen av fältundersökarna med orden "UFO-Sveriges ryggrad", den del av verksamheten där organisationens vetenskapliga ambitioner tydligast manifesteras. 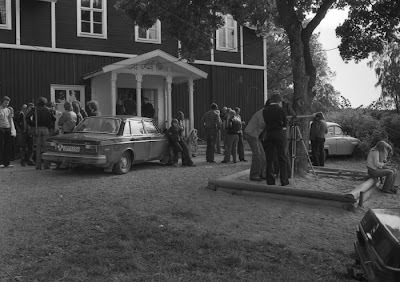 Mellan åren 1977- 1995 hölls kurserna på Lersätersgården utanför Arboga. Det var trivsamt men med dagens mått synnerligen primitivt med sovsalar och egen matlagning. Lersätersandan blev trots det ett begrepp som hållit i sig sedan dess för att beskriva dessa trivsamma tillställningar där UFO-Sveriges medlemmar träffas för både studier och fest. 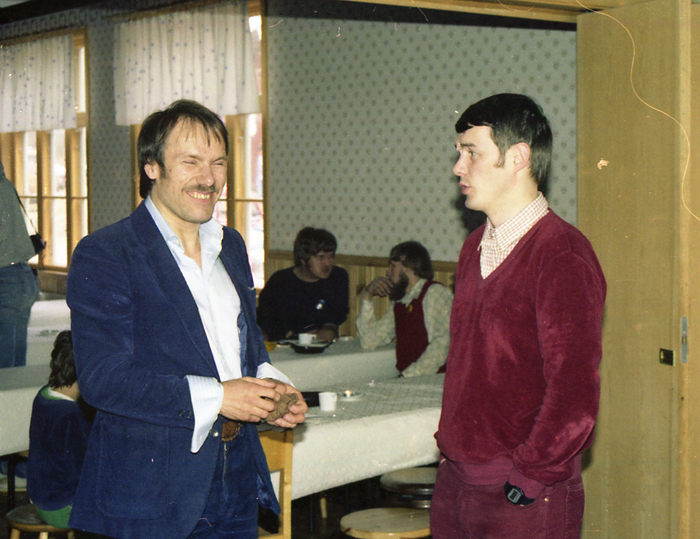 I helgen har jag också fortsatt skanna bilder från Karl-Olov Petterssons bildsamling där det ingår många foton från de första årens kurser i Lersäter. Här nedan några exempel. Förra året var tyvärr sista gången som UFO-Sverige kunde arrangera fältundersökarkurserna på Hållsta konferens utanför Eskilstuna. Kursgården skulle läggas ner. 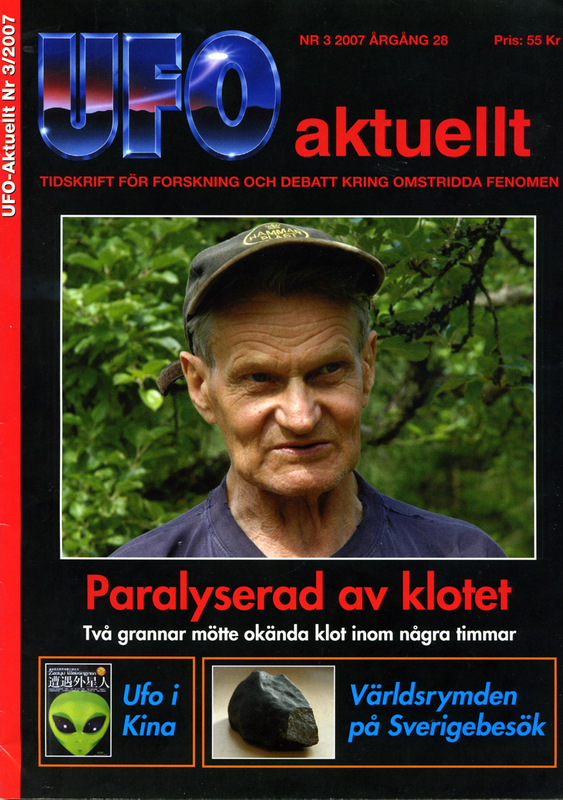 Men vi har flera intressanta alternativ på gång så till hösten hoppas jag det blir fortsättning på en trevlig kursgård där UFO-Sverige kan fortsätta utbilda nya ufologer och också hålla den goda Lersätersandan levande.